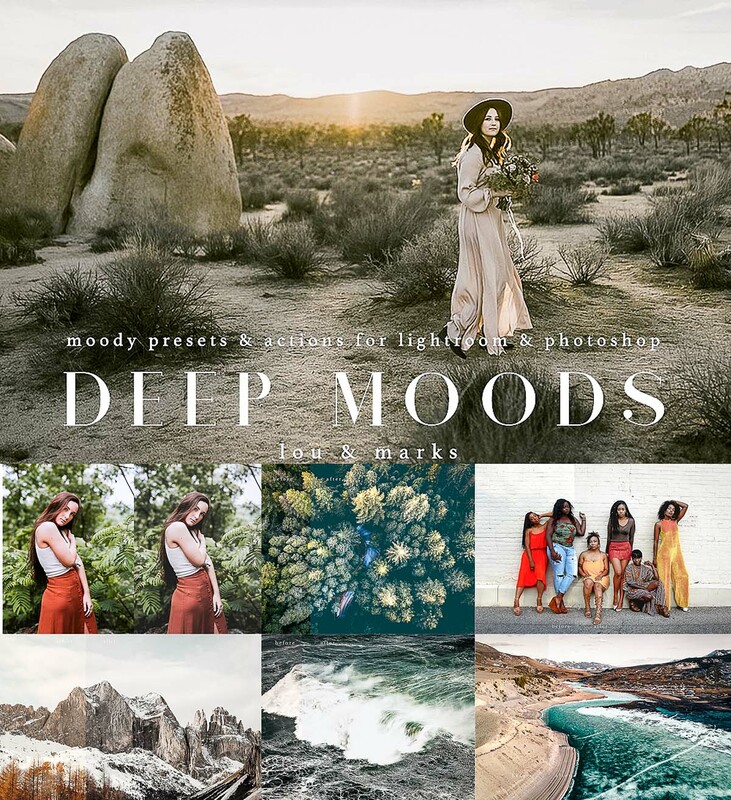 This is a collection of our 30 Presets for moody photo edits in Lightroom and Photoshop ACR and 30 Photoshop Actions. Great for the Indie, Modern, Creative Photographer and Editor. File format: .lrtemplate, .atn for Photoshop, Lightroom or other software. Tags: bright, clean, fuji, lightroom presets, moody, photo filter, photography, photoshop actions, retouch, trendy, vintage photography.